Automatically Turns Light On At Dusk And Off At Dawn. Read All Instructions Completely Before Beginning Installation. Connect black wire from the Photo Control to the black (hot power supply) wire. The body of control must be screwed to weatherproof electrical enclosure. Make sure photocell is directed towards natural sunlight and away from any reflected or artificial light. Screw the silver color die-cast metallic nut with black gasket tight enough to make a weatherproof seal. If the surface is uneven, apply RTV silicone rubber outdoor sealing compound before installing photocontrol. 1. If lamp cycles On/Off during the DAY, check that photo control black and red wire connections are not reversed. 2. If lamp cycles during NIGHT then somehow reflected light is falling on photocell. 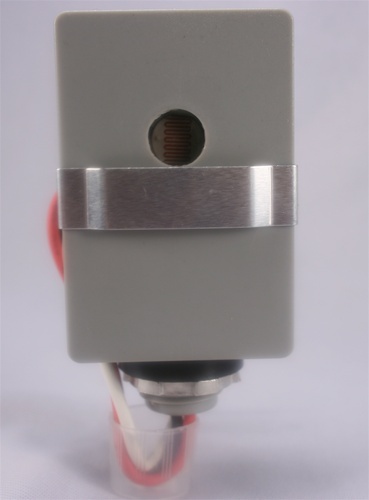 Change look-out direction of photocell towards natural sunlight. If not possible then use black electrical tape to partially obstruct the sensor to limit reflected light from entering the photocell. 3. If lamp does not turn On during night time then red and black wires of photo control are connected wrong. In this case photocontrol most likely is DESTROYED due to wrong wiring connections and MUST NOT be returned back. 4. 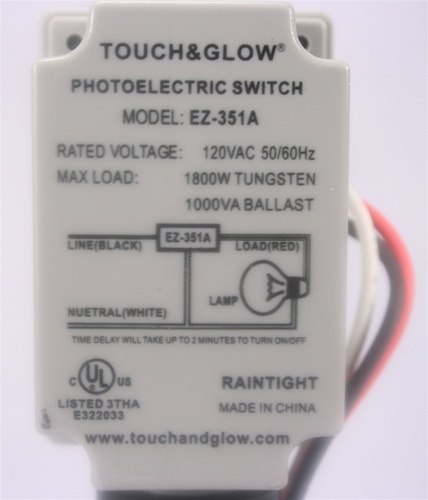 If photo control was ever operated at 208V or higher voltage, it cannot be used for 120V application anymore. 5. Photo control will not work with 12V/24V low voltage landscape lights. Heavy Duty Unit. Automatically Turns Light On At Dusk And Off At Dawn.